Free Portland Luncheon on 6/1/19 from noon-2pm. Join us for a free lunch (donations accepted) at Beaverton Foursquare Church . 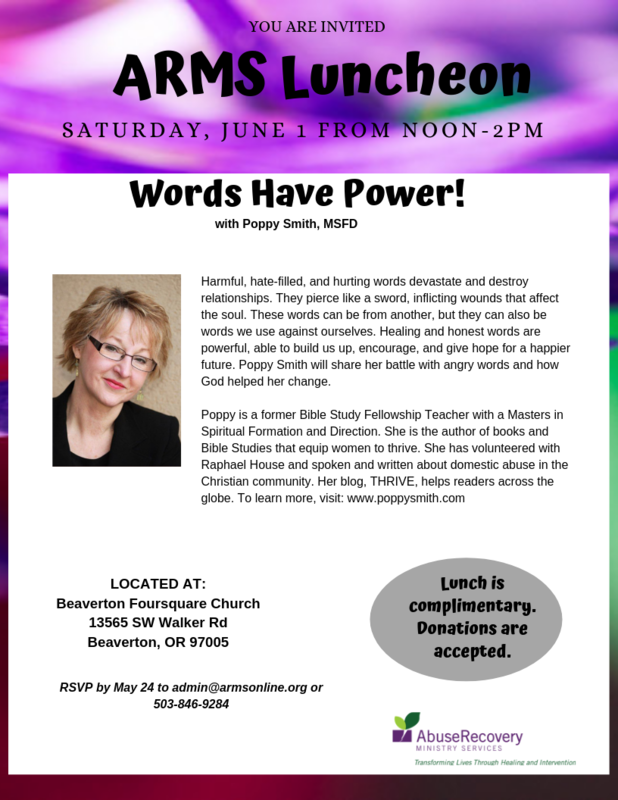 Speaker is Poppy Smith, MSFD and she will speak on the power of our words, both to ourselves and to other people. Harmful, hate-filled, and hurting words devastate and destroy relationships. They pierce like a sword, inflicting wounds that affect the soul. These words can be from another, but they can also be words we use against ourselves. Healing and honest words are powerful, able to build us up, encourage, and give hope for a happier future. Poppy Smith will share her battle with angry words and how God helped her change. Download flyer here. 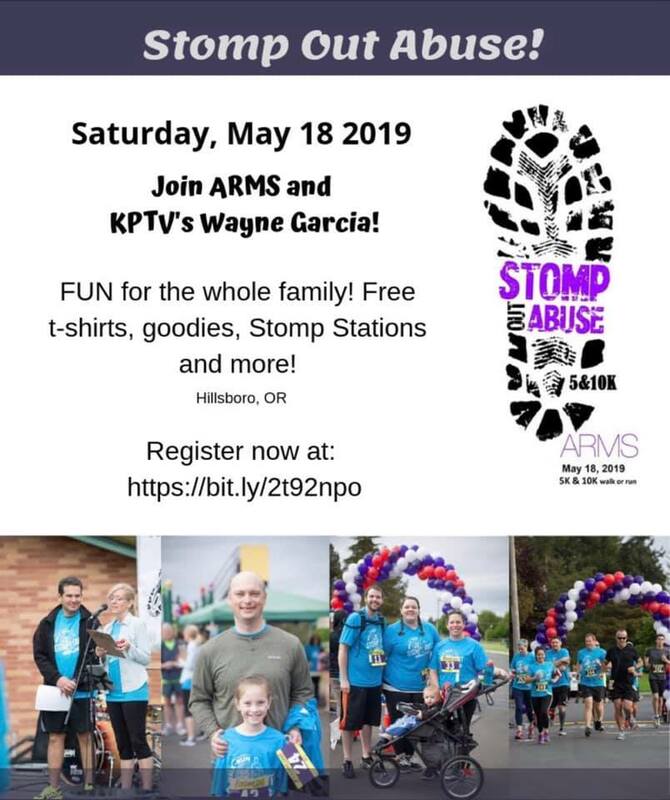 Annual Hillsboro Stomp Out Abuse 5K/10K Run & Walk– Saturday, May 18th. Stomp Out flyer available here. More information and registration here. Annual Summer Portland Banquet– please stay tuned for 2019 date. Annual Spokane Banquet on Sat 4/13/19. By invite only. If you are interested in hosting a table, call 503-846-9284.